A robust variety of coverages for your clients' small businesses. Proprietary BOP product, Workers' Comp, Commercial Automobile, & Commercial Umbrella. Provides comprehensive professional liability coverage for architects, engineers, and surveyors with the expertise to understand a firm's needs and the decision-making authority to get the job done. Say you want to start amassing a collection of exotic cars. Where would you begin? You could start by checking out the auctions and hiring professionals to scour the world for rare finds. Of course if you're Jay Leno, they will come to you. Now you'll need a place to keep and display them. Then you'll need a house that complements the collection with entertainment areas, bars, artwork, pools and double digit numbers of bedrooms and bathrooms. Who has that kind of time? I know I don't. Fortunately for a mere $250 million you can just buy all of it at once. Now that you've dropped a quarter of a billion you'll need to protect it. So even more fortunately, AIG can cover that car collection and the house and all other stuff that comes with it. From Amelia Island to Pebble Beach, policyholders of AIG Private Client Group, a division of the member companies of American International Group, Inc. (AIG), are used to receiving best-in-show accolades for their collector vehicles. They also expect the best when it comes to insurance protection. AIG offers solutions that measure up to the best craftsmanship on wheels. Here are a few examples of the level of claim service AIG offers to high-net worth automobile owners. 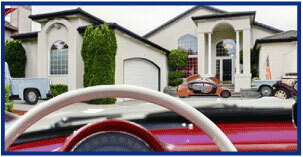 Please note, the primary home is required in order for AIG to consider the automobile coverage. AIG's Private Client Program is available nationwide. Log into www.bigimarkets.com and click on "Affluent Program - New Business", or contact Nancy Doherty at nancy.doherty@iiaba.net or (800) 221-7917 ext. 5389 or Aysha Jordan at aysha.jordan@iiaba.net or (800) 221-7917 ext. 5382 to learn more. Agents know that offering personal umbrella coverage to every client is essential. But did you know that the Big "I" has developed a customizable declination form that you can use to document that you've offered umbrella coverage in your client files? Visit www.iiaba.net/RLI to download the form from the right hand menu. Simply add your agency name to the bottom using the PDF form field. Excess UM/UIM available in all states. Immediate coverage available in all 50 states plus D.C. While the sea may never change, flood insurance through the National Flood Insurance Program does. Some of the change is aimed at providing a better customer experience for policyholders while other changes continue the implementation of the Biggert-Waters Flood Insurance Reform Act and the Homeowner Flood Insurance Affordability Act. A new series of short videos explains the key elements of changes to the NFIP that are effective April 1, 2017. FEMA periodically issues WYO Program Bulletins related to legislative changes and clarifications to the NFIP Flood Insurance Manual. FEMA recently published Bulletin w-17010 - October 1, 2017 Program Changes. The NFIP also offers free online courses covering basic and advanced flood insurance topics through the FEMA Emergency Management Institute's Independent Study Program. Visit the NFIP Training pages for agents or claims adjusters for course details, or view this list of NFIP courses offered through the Independent Study Program. We can't talk about flood without mentioning the Big "I" Flood program! Big "I" Flood and Selective's relationship helps deliver members an unparalleled flood program. Together, we offer agents several layers of support to meet any and all flood insurance needs. Get to know the Big "I" and Selective staff and get your flood questions answered. With personalized support, competitive commissions, and an easy-to-use quoting platform, it is an easy decision to start writing your flood business through the Big "I" Flood-Selective partnership today. Learn more at www.iiaba.net/Flood. NEW - Thursday, April 27 - 1:00 - 2:00pm EDT. "Learn About New DocuSign Payments Feature Webinar". Thursday, April 27 at 1 p.m. ET to learn about DocuSign Payments, a new feature that enables digital payment with an e-signature. The webinar will also feature a product demonstration on how the Big "I" is using DocuSign Payments for its new cyber liability program enrollment process. With DocuSign Payments, users get paid instantly, enabling them to spend more time growing their business and less time following up on time-consuming payment processing. Because the process is simultaneous, secure and paperless, you will now be able to provide an easy, efficient process for your customers. Contact Brett Sutch with any questions regarding the webinar or the Big "I" member-exclusive discount on DocuSign products. Lemonade: "Brokers and Bureaucracy" vs. "Bots and Machine Learning"
However annoying you might find the characterization of our great industry as the banal "Brokers and Bureaucracy" followed by equally clichéd "Bots and Machine Learning" you have to give Lemonade its due when one of the world's largest financial services and insurance company joins them as an investor. Last year after its September fanfare and launch, we wrote here on Lemonade's heavy reliance on credit scores and how that might not seem--let's say--all that altruistic. Their use of significant premium penalties for having a claim seemed to add to that. With that knowledge tucked away, what do the facts say about how this upstart is doing now that they are neighbors in our insurance bureaucracy? Enter the insurance regulatory system where all insurers licensed in any state are required to report details on their operations. These filings are publicly available. Scanning an insurer's "Yellow Book" can tell you a lot and, as students, you should know that you can obtain what is probably fairly described as "extreme detail" on any insurer. The National Association of Insurance Commissions' online store "InsData" makes available nearly every insurer's annual and quarterly reports. I paid my $25 and below are some points that might interest you. Direct Written Premiums: For all the fanfare, a relatively unimpressive premium total so far. Written premiums for 2016 were $179,715 after the much ballyhooed start-up on 9/15/2016. At $500 a policy (a guess), that's about 350 insureds. Capital Burn Rate: It's unfair to assess profitability of anyone so early in start-up mode, but the burn rate of capital would get my attention if I invested with premiums coming in the door at only $1,600 per day. The burn-rate for 2016 equates to a negative Net Income of $1,884,719. With stated capital in the "Management Discussion" of $10,700,000 in holding company parent, Lemonade, Inc. as of 1/31/2017, they would appear to have some time to get thing started but they will have to make progress or move some more cash to the actual licensed insurer, Lemonade Insurance Company, as they show $5,665,766 as "Surplus as Regards Policyholders." Licenses: They are now licensed in NY, IL, NC, RI and TX but have given up trying in AK, IN, KS, KY, SC, SD, UT, VT and WV. They never attempted to get licenses in DC, MS, WA and WY. Presumably they continue to pursue authorization to conduct business in the other 38 states. Claims: They have claims paid out of $3,941 and total incurred losses, including all reserves for unknown claims and development of $11,028. With premiums coming in at the end of the year, the earned premium is only $24,502. That would then be a pure loss ratio of about 45%. CEO/President: The CEO and CFO of Lemonade Insurance Company are different than the public face of Lemonade and the three guys in T-shirts in the launch videos talking about their definition of peer-to-peer, flat fees, and how insurance as we know it is evil. Have a question or view? Feel free to share it with me at paul.buse@iiaba.net. It's hard to predict how Lemonade will do and so-called "disrupters" are seemingly everywhere. Next week, I'll share some information on an investigation we are engaged with to create the ultimate Millennial insurance product to offered exclusively to you on Big "I" Markets. Watch for that as we'll want your input. Congratulations to our agent in District of Columbia on a Vacant Dwelling - Non-standard sale of $9,454 in premium!